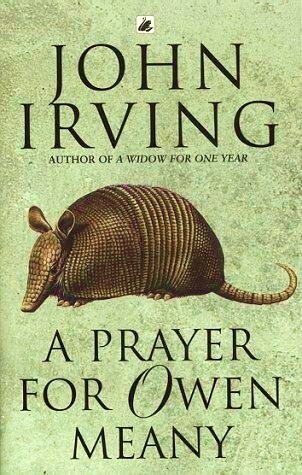 Why: Okay, we’ll just come right out and say it... A Prayer for Owen Meany is a powerful, thought provoking novel with many interesting turns. We believe however, that through the strategic elimination of 50 to 60 pages, it could have been a marvel of literature. The main character had the annoying habit of randomly digressing into a whole host of irrelevant personal frustrations. We get it; he’s rather angry and not exactly happy about US policy. While his rage may have been well intentioned, for us, the way it was presented felt forced and resulted in a disjointed flow for the reader. On the flip side, it’s impossible to ignore the touching life story of Owen Meany. If you’ve ever watched the ridiculously sad movie, Simon Birch, you’ll know what we’re talking about. Even though the novel and movie are quite different, the characters of Simon and Owen are one in the same. Despite his diminutive stature, Owen is larger than life. Throughout A Prayer for Owen Meany you’ll have a difficult time deciding whether to laugh or cry. And then there’s the ending (both of us cried, which is noteworthy considering only one of us has read the book thus far). Additionally, the only way you’ll understand the meaning behind the relatively large armadillo on the front cover is to take the plunge and read the novel. Editor’s Note: For any of you Chicago Bulls or Los Angeles Lakers fans, this novel has often been required reading for many of Phil Jackson’s teams. Oops, we forgot – nobody cares about NBA basketball. So glad that you read & reviewed this as I'm going to read it next! I loved Irving's The World According to Garp (justfabulous, if you haven't read it yet) & am hoping to enjoy this as well. Simon Birch was a very emotional movie for me, too. I read this book and liked it a lot more than I was anticipating. Owen is such a great character and I did swing between laughing and crying throughout the book. The song Goodbye Sky Harbor by Jimmy Eat World is based on this book (which is why I read it). This is my favorite Irving book by far, and probably one of my favorite books I've ever read. The first time I read it I was in high school and I wasn't the least bit interested in the Vietnam digressions. However, the most recent time I read it, which was in 2002, I found myself MUCH more tolerant, and even interested, in those passions since the US was involved in another war whose reasons behind it I did not agree with. I just finished this book yesterday and it is one of my favorites of recent years. The character of Owen Meany himself is certainly one of the most memorable literary characters I've EVER run across. My book club is meeting on Thursday to discuss this book. I can't wait to see what they thought of it. I agree with you somewhat regarding the tediousness of all the present day "flash forwards," and suspect the story could stand well enough on its own without those - or at least with less of them.